Only two rounds remain in the third season of AFL Women’s and the controversial conference system introduced this year will become a major talking point once the regular portion of the season comes to an end. The jostling for places in the top two in Conference A will continue with the Adelaide Crows, North Melbourne and Fremantle all facing crossover matches against the GWS Giants, Collingwood and the Geelong Cats respectively, while Melbourne and the Western Bulldogs will fight to avoid the wooden spoon in that conference. Meantime, in Conference B, the match between Carlton and the Brisbane Lions will decide second place in that conference, though there is the chance both could be playing for top spot should the Cats go down to the Dockers on Saturday. This makes for what should be an intriguing weekend of matches, starting with the Cats-Dockers match at Kardinia Park. After two tough losses on the road against the Western Bulldogs and Adelaide Crows, the Geelong Cats have rebounded in the past fortnight, first edging out Carlton at home before handing the Brisbane Lions a footballing lesson in the Sunshine State last Saturday afternoon. 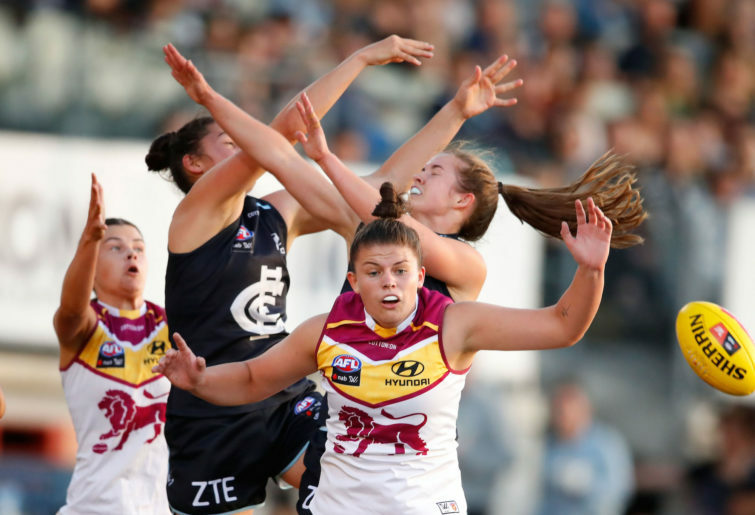 Even without suspended pair Aasta O’Connor and Madeleine Boyd, the Cats made the Lions look second-rate in their backyard, winning by 27 points and restricting the star-studded side to a paltry 1.2 (8) – the lowest score by any side in an AFLW premiership match. While O’Connor still has one more match of her suspension to serve, Boyd is expected to slot straight back into the side for the showdown against the Dockers, who rebounded from their heavy loss against the Adelaide Crows to defeat the Western Bulldogs by 18 points at home. In her first match back from injury, Kiara Blowers racked up 23 possessions and 16 touches to inspire the victory – the Dockers’ fourth for the season – while Kellie Gibson booted three majors. It will be the first visit to Kardinia Park by any Fremantle outfit since their men’s side copped a record 133-point defeat in August last year, but surely their women’s team will not suffer the same embarrassment this Saturday. Additionally, it also took the men a decade to conquer the Cats at Kardinia, so their women will be hoping it’s first time lucky. But at home, I can’t see the Cats dropping this one, especially with top spot in Conference B their main focus. Prediction: Geelong Cats by 18 points. The second of three matches on Saturday will see the first professional Australian rules football match played under the Marvel Stadium banner, the Docklands venue previously known as Etihad Stadium having been renamed last September. In fact, the venue will see its first AFLW double-header when Collingwood and North Melbourne go head-to-head in what is sure to be a grudge match, especially with new Roos Jasmine Garner and Moana Hope set to come up against their former club. After four straight wins to start life in the AFLW, the Roos came crashing back down to earth last week, easily beaten by the Adelaide Crows by 35 points in their first and only home game in Melbourne for the season. They’ll be hoping to bounce back against a Collingwood side which has without doubt been the biggest disappointment story of the season, being the only side without a win after five rounds. They did have their chances against Carlton at Princes Park last Saturday night, only for a late goal by the Blues’ Darcy Vescio to sink them at the death. At this rate, it’ll be hard seeing when their next win will come, and I can’t see it happening this Saturday night. Prediction: North Melbourne by 20 points. The second match of the Marvel Stadium double-header sees the Western Bulldogs and Melbourne fight it out for the Hampson-Hardeman Cup, which has been contested since the two sides first fielded makeshift sides as part of a series of exhibition matches in 2013. Despite the best efforts of Monique Conti and Katie Brennan, as well as the returns from injury of Brooke Lochland and Isabel Huntington, the Bulldogs fell to Fremantle by 18 points in the west last Sunday, the result marking their third straight defeat and all but ending their premiership defence with two rounds remaining. This means they can only play for pride in the final fortnight of the season, but they will have the chance to sabotage their opponents’ finals hopes, starting with the Dees this Saturday night. After an even first quarter, the Dees broke the shackles after quarter-time of their clash against the GWS Giants in Blacktown last Sunday, easing their way to a 39-point win and putting themselves back in the hunt for a coveted finals berth. Mick Stinear’s side will have the chance to rocked up to second in Conference A with a win, but would have to rely on Fremantle and North Melbourne both losing earlier in the day, while they could even claim first place should the Adelaide Crows suffer an unlikely heavy defeat against the Giants at home the following day. In all seriousness, though, the Dees should get the job done and ramp up the pressure on the Crows, North and Freo for a top-two berth in their conference. Prediction: Melbourne by 25 points. 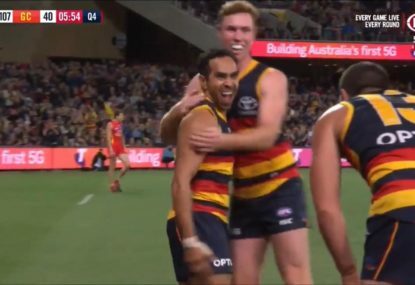 The Adelaide Crows could so easily have been undefeated right now, if not for a heartbreaking one-point loss to the Western Bulldogs at home in Round 1. Having won the inaugural flag in 2017, the Crows struggled to adapt to the pressure of being the reigning premiers last year, but under new coach Matthew Clarke the side have regained their form and confidence to be sitting at the top of Conference A with two rounds to go. Last week they made light work of the previously undefeated North Melbourne, winning by 35 points with 2017 best-and-fairest winner Erin Phillips again among their best. This Sunday they’ll come up against a GWS Giants side which has underperformed in 2019, only winning one of their five matches to be sitting fourth in Conference B. 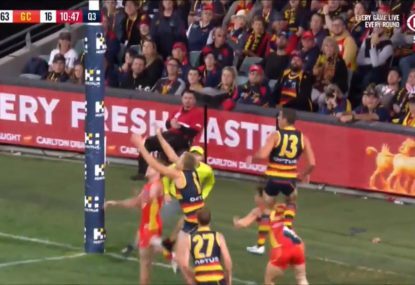 While they were competitive for the most part against Melbourne last Sunday, poor decision-making under pressure again proved to be their downfall as they crashed to a 39-point defeat – just one point less than their worst defeat in the AFLW (against the Brisbane Lions in Round 7 last year). Coach Alan McConnell has addressed the fact that their attack is misfiring, the side only managing to kick two goals for the whole match and only three in seven quarters dating back to quarter-time of their match against the Pies the previous week (in which they kicked four first-quarter majors). With their finals hopes all but dashed, the veteran coach has implored his side to go all out against the Crows, to whom the Giants forced a 3.1 (19) apiece draw in their previous clash in Blacktown last year. 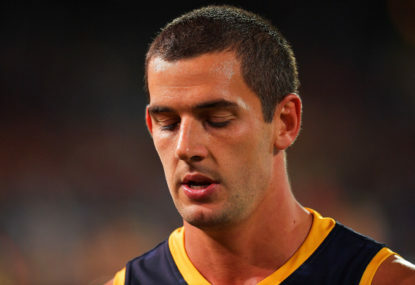 But with the Crows’ minds set on top spot in Conference A, they will not want to take their foot off the pedal. Prediction: Adelaide Crows by 18 points. The final match of Round 6 sees Carlton and the Brisbane Lions play off for second place or better in Conference B. Both teams are on two wins, and depending on the result of the Cats-Dockers match the previous day, both could have the chance to shoot to the top of Conference B going into the final round next weekend. Last week, the Blues escaped a major scare to defeat Collingwood by five points, with Darcy Vescio kicking the match-winning goal with a minute left to give her side their second win for the season, while the Lions’ woes continued when they fell to the Geelong Cats by 27 points at home. 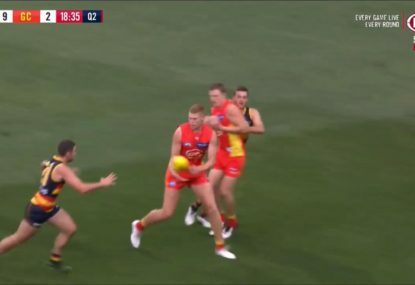 Worryingly, the Lions could only manage 1.2 (8) for the whole match, making it the lowest score by any side in the short history of the AFLW, booting only one point after half-time. Still, somehow, the two-time runners-up remain alive in the hunt for a preliminary final berth, but the fact their final two games will be in Melbourne will make it all the more difficult for them to even keep up. The corresponding match last year saw the Lions record an easy 26-point win, while the previous meeting before that saw the two sides fight out a draw which meant little for the Lions as they had already wrapped up the minor premiership. Something tells me the Lions should bounce back this Sunday. Prediction: Brisbane Lions by 14 points. When the Crows were the Crows, everything worked in unison. 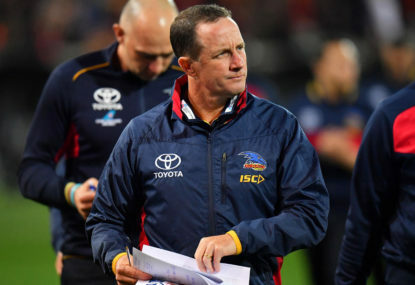 Adelaide coach Don Pyke admits the Crows’ AFL issues are wide-ranging after his side copped a midfield annihilation from North Melbourne. It’s time to wake up and smell the denial.